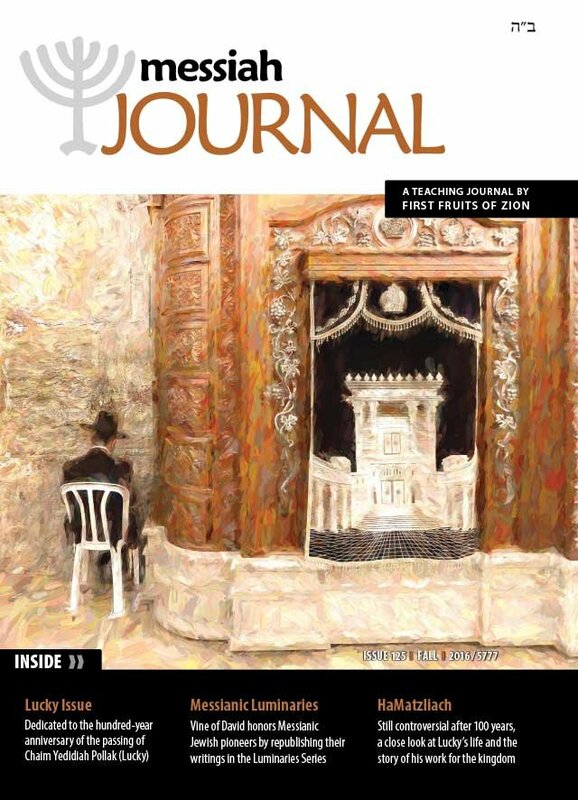 Boaz Michael opens this issue with comments about Chaim Yedidiah Pollak Theophilus Lucky, for whom this issue of Messiah Journal is dedicated. He goes on to elaborate on the significance of the pioneers of Messianic Judaism and the work of Vine of David. A new anthology of Lucky's writings from Vine of David, with thoughts from the translator on the work itself and his passion for the Messiah of Israel. In this biography of Theophilus Lucky, Norwegian author Raymond Lillevik does extensive research into Lucky's life to present the most complete account of this little-known Messianic luminary. Dr. Lillevik has collected fragments of Lucky's story from dozens of sources to honor his contribution to Messianic Judaism. Toby Janicki delves into the biblical and halachic basis behind the quorum of ten men and its ramifications for Messianic Judaism. What qualifies a person to be an "apostle of the Messiah"? D. Thomas Lancaster takes us into the first century norms of discipleship and clarifies the question of how many apostles of Yeshua there actually were. Why did James address his letter to the "twelve tribes in the Diaspora" when ten of them had ceased to exist hundreds of years before? Guest author Zeev Rabinowitz unravels this mystery from a Messianic perspective. Part 14 of Bram: The Life and Wisdom of Messianic Jewish Pioneer Abram Poljak in His Own Words. See previous Messiah Journal issues for earlier chapters in this series.